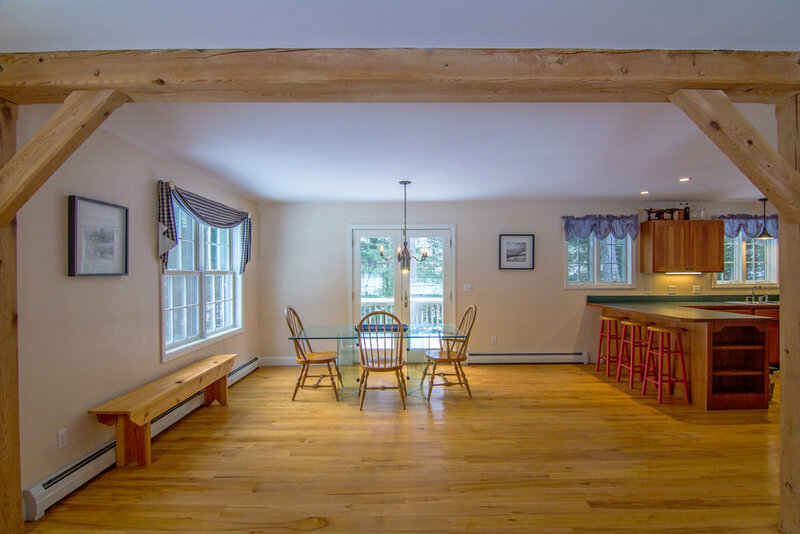 This Covered Bridge Townhouse has been impeccably maintained, and is just 5 minutes from the Stowe Mountain Resort; and, a short walk to Trapp Family Lodge right out the front door. Custom features throughout include hardwood floors on both levels, cherry cabinetry and granite counter tops. A covered deck just off the dining room, leads to the large open deck that affords Spruce Peak views. Those same views can be enjoyed from the kitchen, dining room, living room; and, the master bedroom on the 2nd floor. The living room has the views as well as a beautiful and large stone fireplace with wood burning insert. There’s easy access to hiking and mountain-biking trails just a short walk or ride from the front door. The new owners can’t wait to enjoy the outdoor pool and tennis court in the summer and easy access to the mountain in the winter. And, Stowe's famous Recreation Path is within walking distance. The new owners can’t wait to take advantage of it all! Can I help you find (or sell) yours? Village Walk is a community of seven elegant Townhomes nestled in the heart of historic Stowe. With all the conveniences of village living — shopping and dining within walking distance, these superbly well designed and constructed homes blend traditional Vermont Farmhouse style exteriors with contemporary floor plans and modern amenities. After a day of exploring all that Stowe has to offer, the new owners, who've just downsized, are looking forward to local skiing and mountain biking. Can I help you find yours? What makes a ski bar a legend? It’s the abundance of good times, year after year, and the people who bring those good times into your life. On a night when cars are parked up and down the Mountain Road and there’s a line at the door of The Matterhorn, Charlie Shaffer has an air of perpetual calm. It may be getting rowdy with a gang doing shots going at one end the bar. The dance floor may be a mosh pit. There may be a skinny-dipping challenge in the river just off the back deck. Shaffer takes it all in with an impish, bemused smile. He greets the regulars with a pat on the arm, and a “good to see you, did you ski today,” runs a hand through his tousled hair and steps back into the kitchen to check on things. Locals Jake and Donna Carpenter, and Burton’s posse of pro riders, are regulars. One night this past January, Ethan Hawke stopped in. Harvey Keitel threw his son’s birthday party here —and sent a video to the kid’s godfather, Robert DeNiro. What they missed is the knack that Charlie, who used to work on the floor of the Boston Stock Exchange, and Louise have for making just about everyone feel at home—be it a fur-clad New Yorker sipping a martini or a 20-year-old liftie downing a Heady Topper. Over the bar hang mugs belonging to regulars. “We save the mugs for people who work around here and really give back to the community —patrollers ski instructors and such,” Charlie says. They come and bring their 60-year-old private lesson clients. They bring their friends and kids with them. And then they leave (or not) and the music cranks up and a new crowd shuffles in. At the back of the bar, beyond two pool tables, kids in ski gear are slamming quarters into a pinball machine. A crew that just skied down the backwoods Bruce Trail (which spills out a hundred feet up the road) has hoofed it in to grab a beer. Play at the mountain. Stowe Mountain Resort has the most skiing and riding terrain open in the east, with 82 inches of fresh snowfall this season and state-of-the-art snowmaking producing optimal skiing and riding conditions. Explore other activities at the resort, like ice skating or relaxing by an outdoor fireplace, while absorbing the natural beauty of Mt. Mansfield–the highest peak in Vermont. Take the complimentary Stowe Mountain Road Shuttle to and from your hotel room. More snowy fun. Winter has arrived, and with more snow in the forecast, there are other winter activities to enjoy, like snowmobiling, sleigh rides; and, dog sledding. Snowshoeing, cross-country skiing and backcountry skiing are also popular with Stowe's world-class Nordic trail system and variety of trails nearby. Need gear? Pick up equipment rentals and other sports gear and apparel in town. Festive activities. Holiday shopping is an adventure in Stowe. Find the perfect gift for your family and friends during Reindeer Quest (through December 24). #ShopStowe and win prizes as you collect snowflake stamps at Stowe shops. Enjoy a live holiday performance, children's activities, cooking and food demonstrations, New Year's Eve celebrations and other events. Eat, drink and be merry. Ranked one of the "World's 10 Best Ski Towns for Foodies" by Fodor's Travel, Stowe is home to a variety of dining establishments and craft beverage producers. Sample craft beverages on the Stowe Craft Bev Trail and other local flavors on the Stowe Tasting Trail. Plan your stay. Stowe offers quality accommodations for every taste and budget. Solidify your winter plans with the Midwinter Getaway or the Extend Your Weekend lodging offers. Not sure where to start? Visit us online at gostowe.com, call us at (800) 467-8693 or stop by the Visitor Information Center while in town. Exclusive discounts for lodging, activities, equipment rentals and events are available year-round. On a [recent] crisp autumn day, Craig Hogan landed at the Burlington International Airport in northwestern Vermont. The leaves set the surrounding countryside ablaze with red, orange, and gold. Across Lake Champlain, he caught a glimpse of the Adirondacks — a postcard-worthy picture of a sun-kissed New England fantasy. The Chicago-based vice president of luxury for Coldwell Banker Real Estate LLC was captivated by the rich scenery and people, who greeted his big-city tendencies with warm, free-flowing hellos. Hogan was met by a cadre of local real estate experts from Coldwell Banker Hickok & Boardman Realty. 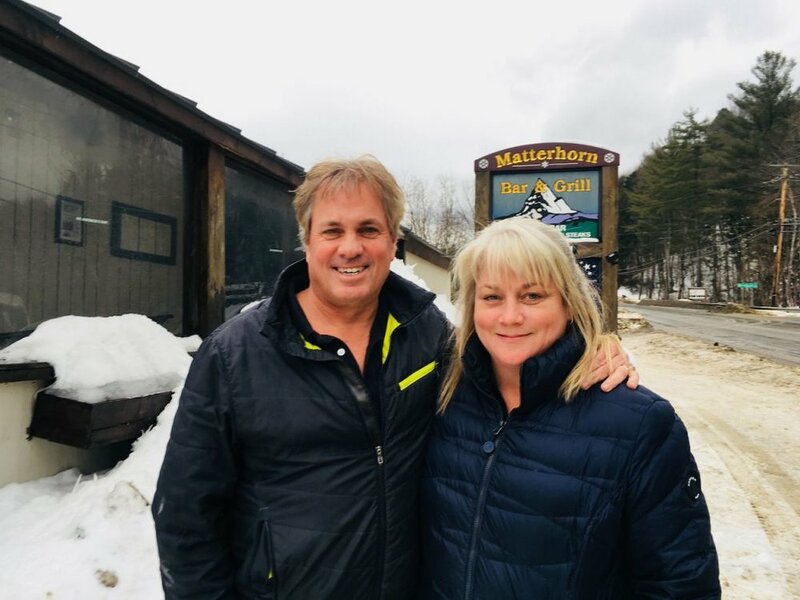 Later, they met up with their Vermont counterparts at Coldwell Banker Carlson Real Estate in the fabled ski town of Stowe: broker McKee McDonald, and his mother, Peggy Smith, owner and broker. Both teams treated Hogan to a whirlwind tour of eight inspiring properties throughout their state, beginning first in Burlington at the lakeshore, then to Colchester and weaving up north to the island town of South Hero until they finally reached the mountains of Stowe. 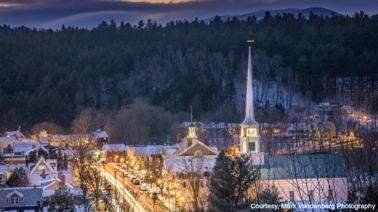 What followed was an eye-opening journey through Vermont’s most vibrant towns awakening to an influx of investment and new development. When you think of the most luxurious and renowned ski destinations in the nation, Aspen and Deer Valley probably come to mind. If Stowe is also on your list, your awareness of the country’s skiing hotspots is impressive. This northern Vermont town is de rigeur, and increasingly attracting ski aficionados seeking premier mountain conditions. But, for real estate buyers looking to purchase homes in the area, the slopes are only the beginning. Key to Stowe’s recent burst in popularity is the $500 million investment now-former owner AIG Insurance made in the transformation of Stowe Mountain Ski Operations, and its subsequent purchase by Vail Resorts in Colorado. “The long-term projections of Vail’s investment in the ski resort will continue to enhance Stowe’s reputation as a world-class destination,” adds Macdonald. Real estate in Stowe reflects the predicted luxury expectations of high-net-worth individuals, with upscale ski-in, ski-out condos, brand-new construction, and homes that feature a combination of old and new with historic elements and modern features among the popular trends. We mined the market to find some of the most unique and valuable properties for sale in Stowe. A coveted neighborhood, gorgeous surroundings, impeccable privacy, and great entertainment potential bring four-season enjoyment to this spectacular Stowe property. This wooded estate that sprawls over 26 acres of pristine Vermont land features the ultimate in rustic luxury, inside and out. Gather in front of the brick fireplace and gaze out onto an amazing expanse of verdant green. The gourmet kitchen shares the serene vistas while offering a professional space for crafting gourmet meals. 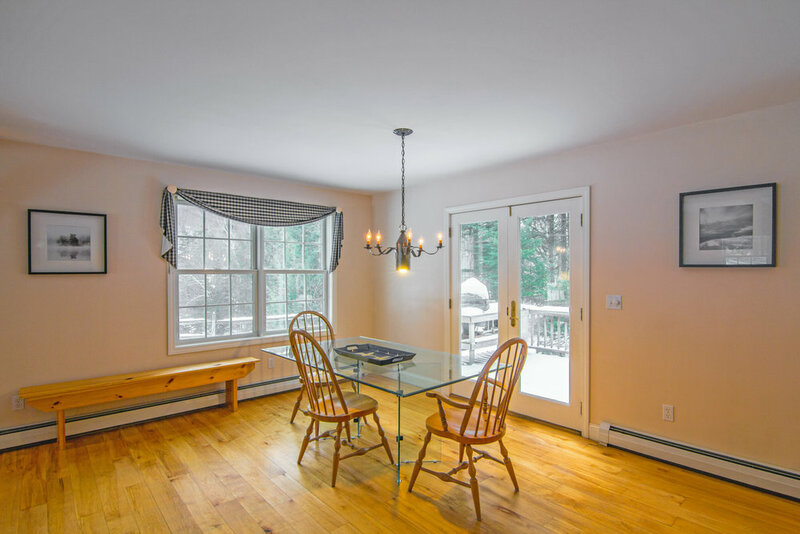 With 4,884 square feet including five large bedrooms, a bunk room, and a recreation room, this Stowe property can easily accommodate the whole family and any visiting guest coming in for a ski getaway. Classic farmhouse architecture meets mountain chic in this idyllic Stowe home, which features views of the Green Mountains and Stowe Mountain Resort ski runs. Elegant interiors and abundant entertainment spaces embrace large gatherings, while the country kitchen with its professional appliances including a double Viking range can accommodate even the most particular chef—and palate. With five bedrooms, six and one-half baths, and 10,147 square feet, this residence features a gracious space for everyone, including a sumptuous master suite that overlooks Mt. Mansfield and a charming wood-paneled bunk room. Overlooking a bounty of trees just reaching their peak of colorful splendor come November, this private view estate is the quintessential mountain property. Flanked by extensive wood and stone, with large windows to take in hillside vistas, the home also features well-designed interiors with six bedrooms in 5,442 square feet. A gourmet kitchen, spacious new living room with fireplace, and magazine-ready bathrooms provide contemporary touches that complement the home’s distinctive architecture. A private setting with a babbling brook, swimming pool, tennis court, and screened-in porch make it hard to leave, while the easily accessible location puts all the best of Stowe within reach. I'm pleased to show you this home in Stowe, VT that I sold, last week, to a family from New Jersey. From a private 5+ acre setting with 2 ponds, the views of the Worcester Mountains to the east are spectacular. This 3-bedroom, 2½-bath home has more a than 3,00 square feet of living space plus an attached 3-story barn/garage. The house sits at woods-edge with two fenced-in meadows at the front and side. Just about equidistant to Stowe Village and Stowe Mountain Resort. Copyright © 2017 by Charlie Aronovici, all rights reserved. Swimming holes. Take a swim in a local river or reservoir, or dip your feet in the West Branch River just off the Stowe Recreation Path. Waterfalls, pools and basins. Short, scenic hikes throughout town bring you to popular swimming holes like Moss Glen Falls and Bingham Falls. Paddle for views. Explore the wilderness by canoe or kayak. Rent a boat or a stand-up paddleboard (SUP) at the Waterbury Reservoir (which also has a day use beach that's perfect for swimming) or the Lamoille or Winooski rivers. Guided tours. Learn to paddle and receive an introduction to Stowe's scenic waterways. Paddling instruction is available through guided tour operators like Bert's Boats, Umiak Outdoor Outfitters, and Vermont Canoe and Kayak. Après-activity. Cool down after a hot day outside. Make a stop on the Stowe Craft Bev Trail or sample the local flavors of Stowe on the Stowe Tasting Trail. Thanks to GoStowe for this Summer Update. December 10, 2016: This home is now under contract after only 13 days on the market! ☆ Can I help you find yours? Can I help you find yours? Call (802-730-4343) or write. Mountain BIking at Trapps yesterday with my riding buddy Jeff Beattie. We came out of the woods, headed down the road to Trapp's DeliBakery for the lagers, and enjoyed this view to the east. I recently sold a Lodge Condominium at Stowe Mountain Resort to a couple from Connecticut who had been to and skied at Stowe. But when their summer vacation plans last year took them to Burlington, they decided to take a day trip to Stowe. And, the rest, as they say, is history. Now, they'll be planning day trips to Burlington, if they can tear themselves away! Stowe has been named the top U.S. fall foliage destination based upon TripAdvisor reviews. Foliage season is always a busy time in Stowe but this season the town may see even more leaf peepers, after landing on top of TripAdvisor's top 10 list of U.S. fall foliage destinations. TripAdvisor is a popular crowd-sourcing travel review website. The top 10 list is "based on the quality and quantity of reviews mentioning terms related to fall foliage, as well as the quantity and quality of reviews for hotels, restaurants and attractions in each destination," according to a press release issued late last week. Read the complete TripAdvisor article, by Amy Kalb Noyes, here. When in Stowe, please stop in to say hello at 91 Main Street in Stowe Village. Both the btv foodie / Burlington Free Press and Burlington's Seven Days reported last week that Hen of the Wood owners, Eric Warnstedt and Will McNeil have opened their beer bar, Doc Ponds, at 294 Mountain Road in Stowe. The question at the heart of the case was whether or not people would get intoxicated on this beverage, which was considered low alcohol compared to other drinks. Several defense witnesses were doctors, one of whom testified that the lager contained 4.6 percent alcohol. 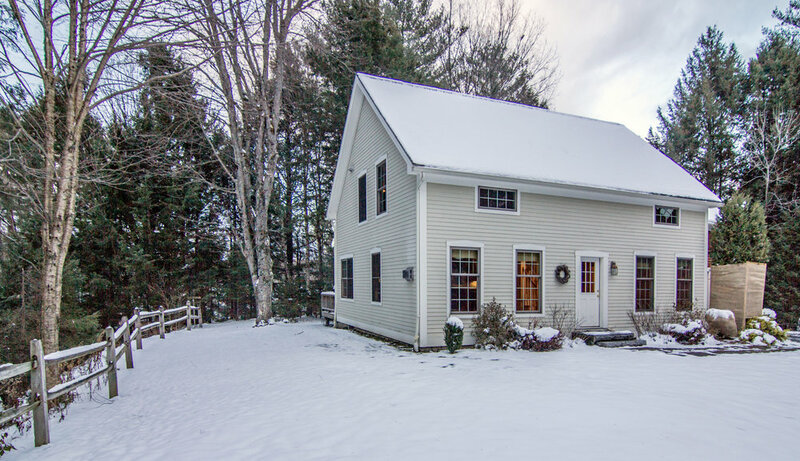 The Stowe real-estate market showed stability & activity through the first 6 months of 2015. While down slightly compared to this time last year, a review of the past 10 years shows more traditional growth & stability than we have seen since the bottom of the market in 2009. The Lamoille market (all towns except Stowe) finally saw steady year-over-year numbers, with some growth in the market above $300K. If this growth continues we expect a strong market showing for the last 6 months of 2015. Finally the Waterbury market has continued to move in a positive direction, doubling the number of homes sold compared to the first six months in 2014. The 2nd half of 2014 experienced a slowdown; so, we'll see if Waterbury can continue its strong growth or if there will be a slight contraction. See more data and charts in the Market Data section of this web site. Stowe's Food Scene is Heating Up! On Tuesday this week, it was reported that Stowe's Crop Bistro & Brewery reopened last Thursday with Laura and Michael Kloeti, owners of Michael's on the Hill in Waterbury Center, at the helm. Laura Kloeti says she and her husband have big plans for the space — including ramping up brewing operations and distributing more beer for retail. But they plan to ease into the changes and keep Crop's original pub concept alive. The Kloetis have redone the menu and installed Michael's alum Jason Bissell as the chef. The bill of fare offers starters (fried pickles, smoked trout dip), salads, charcuterie and cheese, pub standards (burgers, brats, beer-battered fish), and "specialties" (steak frites, confit duck, barbecue-braised pork shank). On Wednesday, we learned that Sauce, reported here earlier and owned by Sharon Herbert, has opened at 407 Mountain Road — which previously housed Café Latina and Thompson’s Flour Shop — has been transformed into an open, welcoming wood-framed shop with deli cases, a “hot table” and shelves stocked with all kinds of goodies. There’s a handful of tables inside and a few more on the patio if you want to eat there. One wall, done up in chalkboard paint, bears inviting and enticing messages, imploring “Mangia! Mangia!” and touting “il dolce far niente” — the sweetness of idleness, probably referring to languidly sipping Prosecco while savoring slips of fat-streaked prosciutto and soft clouds of fresh mozzarella. A familiar face is running the kitchen — chef Jimmy Kalp, who honed his skills at Frida’s Taqueria and Blue Moon Café in Stowe. And, finally, on Thursday, the Stowe Development Review Board gave conditional approval to Danielle Nichols, the owner of Waterbury’s popular Cork Wine Bar, to open a similar space in Stowe, at the site of the former Blue Moon Cafe. She wants to add outdoor seating, open up for lunch, and add a retail element to the establishment.